In a practice encompassing sculpture, photography, painting and socially-based projects, the artist Fabian Marti focuses on exploring ideas about artistic production and identity. Examining visual codes, he uses recurring pictorial themes to establish an almost hieroglyphic. Producing all of his works manually, he embraces mechanical processes that include signature traces of the artist’s hand at work. 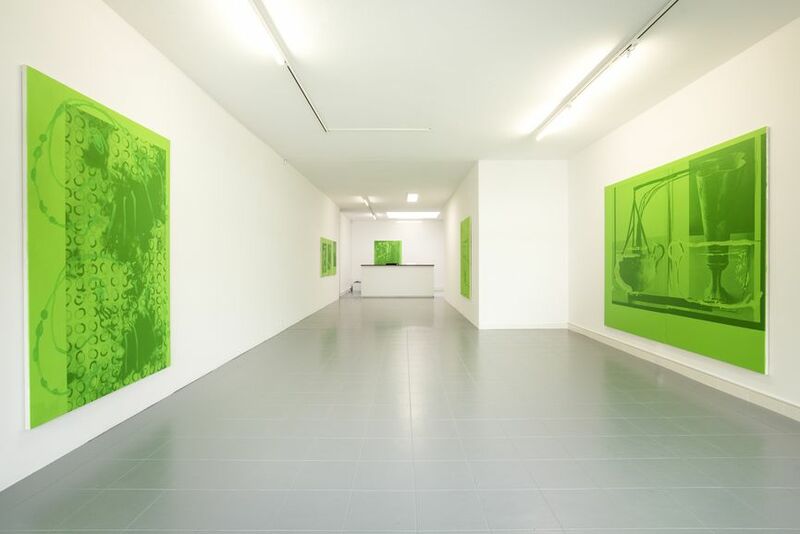 His latest body of work is currently on view at the Art Bärtschi & Cie gallery. 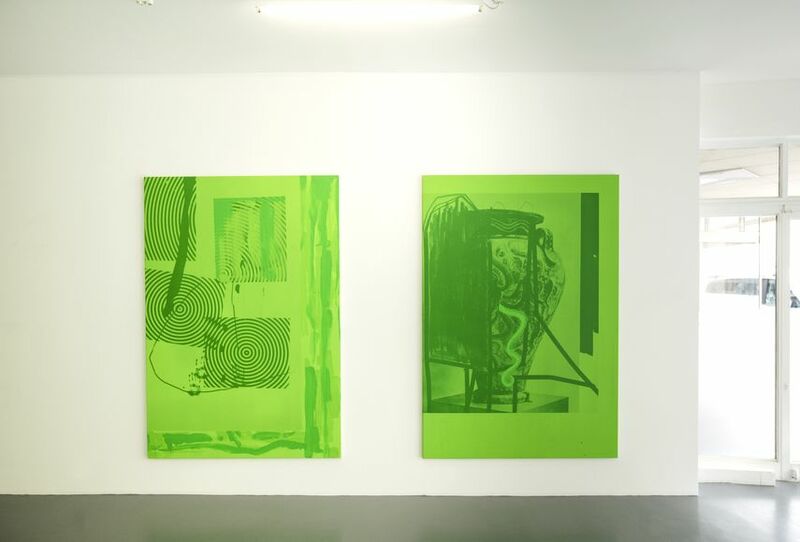 Titled The Pitfalls of Reincarnation, the exhibition brings together a series of green paintings which highlight the artist’s use of contextual “remixing” in search of yet-undiscovered connections. In his work, Fabian Marti reinterprets symbols and reviews the cultural history of modernity and beyond, blending a journey through time as past and present in simultaneity. His works reflect an ongoing research into the esoteric symbolism, cultural anthropology, music and scientific debates. 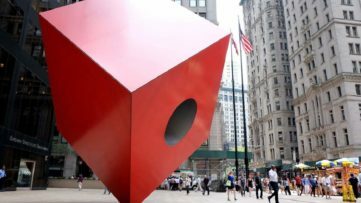 At the same time, he is concerned with exploring the origins of creativity and authorship and the role of the artist in the society. 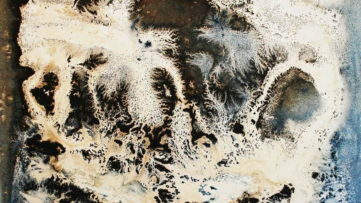 Marti mostly works in cosmic black which is occasionally and subtly accentuated by color. 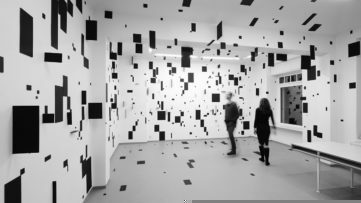 He is known for his photograms created by scanning objects such as crystals, bread and skulls with scanners and photocopying machines. Sitting right in the middle of the spectrum, the color green represents a sense of balance and natural order in many religions and cultures. It is also believed that the color encourages relaxation and inspires calm. 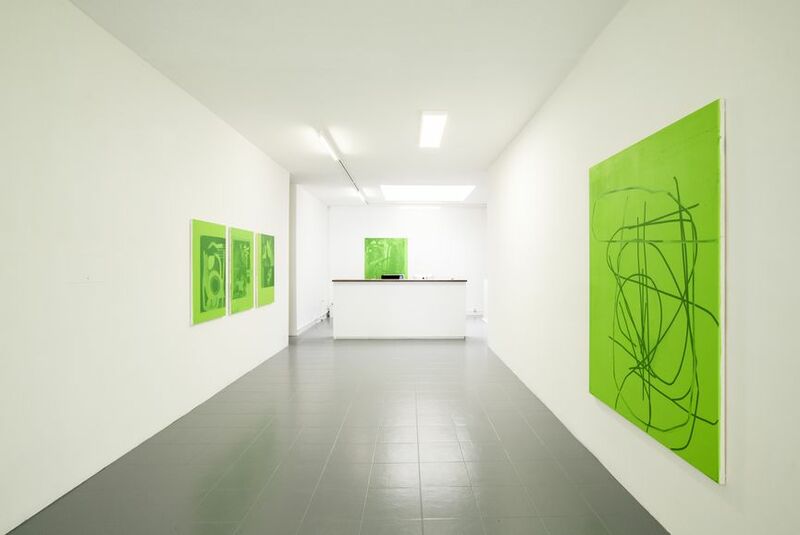 The series exhibited at the Art Bärtschi & Cie gallery is based on images sourced from Marti’s previous bodies of work, which he then cast as a green shadow onto new canvases. 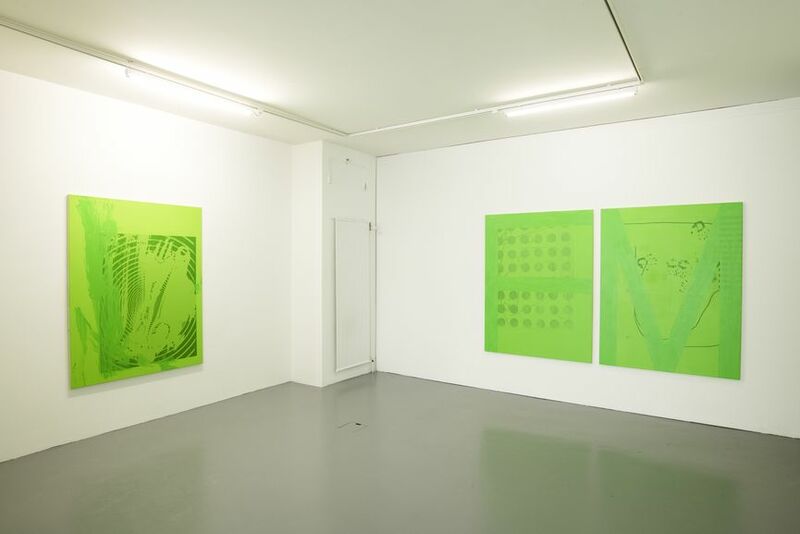 By carefully re-touching these green shadows with a paintbrush in carefully planned, formal and technical compositions, the artist adds remarkable depth and an array of new textures to the surface qualities of the canvases. In this way, the viewer’s eyes are drowned down through a larger composition. Visually striking and alive, the paintings are also very personal. 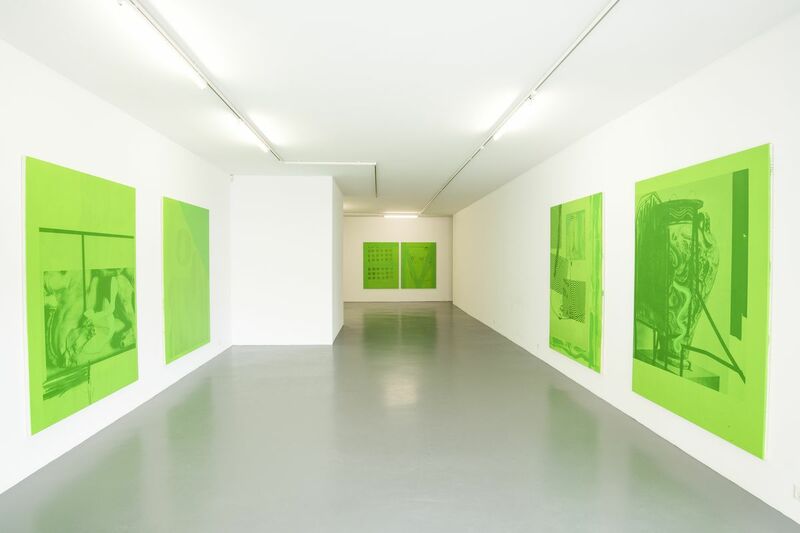 By using this single color, the artist revisits the ever-evolving pictorial themes in his work. With this latest body of work, Fabian Marti challenged his own visual standards to find a new visual language. 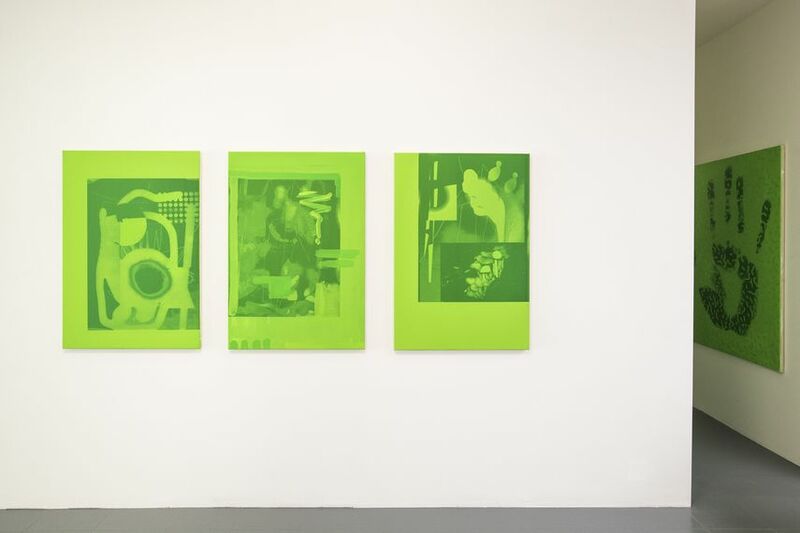 The color green becomes the filter through which the artist approaches the themes which preoccupy his work. 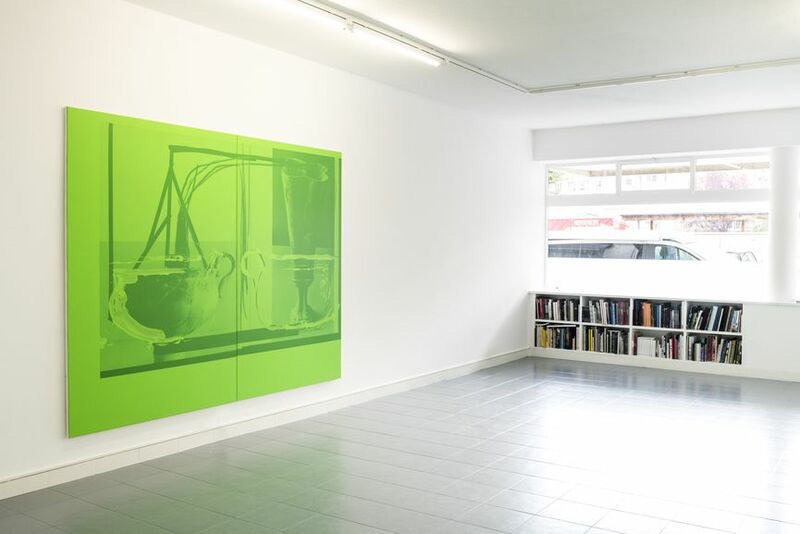 The exhibition The Pitfalls of Reincarnation will be on view at Art Bärtschi & Cie in Geneva until November 9th, 2018. 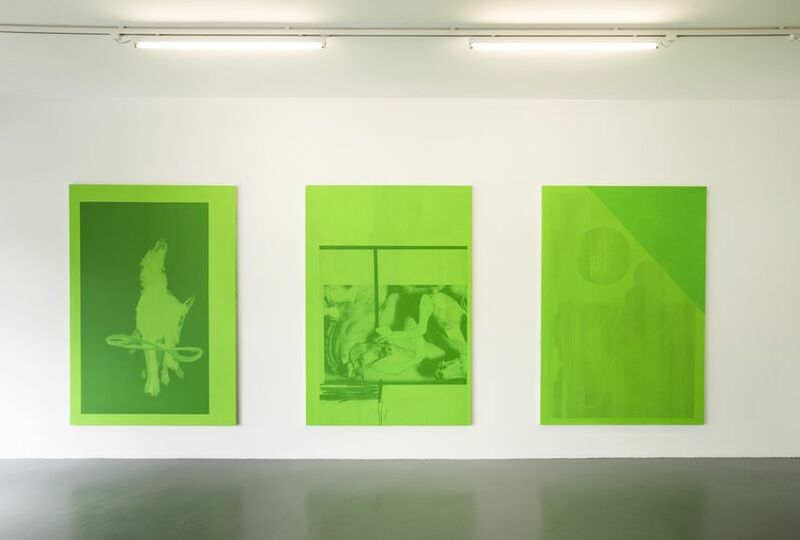 Featured images: The Installation View of “The Pitfalls of Reincarnation” by Fabian Marti. All images by Greg Clement, courtesy of Art Bärtschi & Cie.